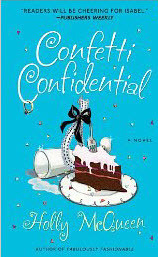 Another week of British authors takes me to Holly McQueen's Confetti Confidential. 'Tis the story of Isabel Bookbinder, rookie wedding planner, and all her mishaps along the way. It is actually quite funny to see her land a few clients, including her best friend who just got engaged to her brother, and plan their weddings.The story follows Isabel trying to put together the mother of all weddings for a VIP client that she has acquired through shall we say, questionable means. Isabel wouldn’t necessarily say that, but I think she would agree that it wasn’t entirely above board. What ensues is hilarious antic after antic as to how she is going to pull off the “wedding of the century” (these are my words! ).Reading this book reminded me of my own wedding planning. Although mine wasn't funny, it did bring back a bunch of memories. On top of everything else, Isabel has just moved in with her boyfriend, the perfect lawyer, so she is wondering if she will get to plan her own wedding, especially since she found a little something something that she probably shouldn’t know about? 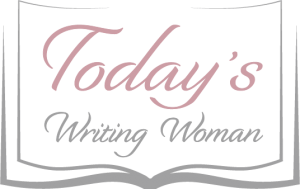 Between her mom acting strangely, her best friend and brother’s wedding and this newly acquired client, the story is actually pretty funny considering all the things we see on television lately with celebrity weddings and such. This is a lighthearted read and one where you won’t have to think much.